The lovely bay/brown stallion CHALANI CHAPARRAL - HSH will stand at stud for the 2014 breeding season at Chalani Australian Stock Horses. Stud Fee $880. 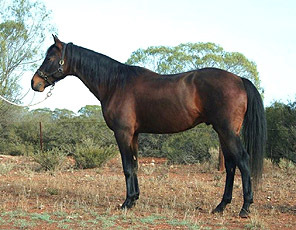 In an effort to retain the genetics of his dam in the stud, we have secured a lease of Chalani Chaparral (Fintona Artist x Chalani Sheoak) for the 2014 breeding season, with thanks to owner Jenny Schiller of Hillbro Farm. 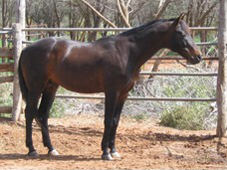 Mare owners will also have the opportunity to breed to Chaparral while in a near-metropolitan location (Monarto, SA). 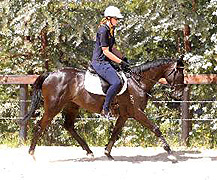 Chaparral is nearly 16hh, with great length of rein, attractive head with soft, kind eyes, strong hindquarters and straight legs with good quality strong hooves. Owner Jenny Schiller says of Chaparral �He is a delightful fellow to know and handle. 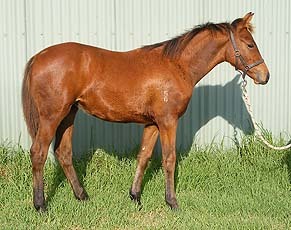 Lightly shown as a yearling, two and 3yo in ASH classes, winning or placing in all events". 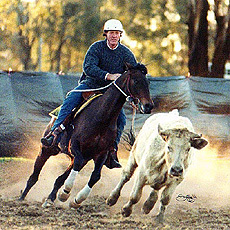 Chaparral was trained by Neville Fennell and proved to be very athletic and forward moving under saddle, "executing sliding stops and roll backs with ease. 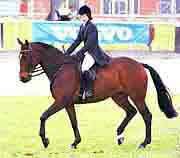 Good steady movement and a very comfortable canter." 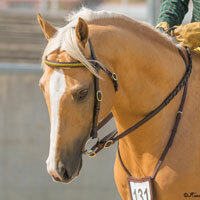 As a general hack and riding horse, Chaparral proved to be forward going, eager to walk out and calm under saddle. 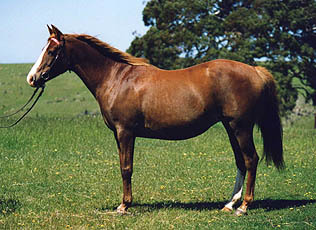 As a sire, Chaparral has had limited opportunity to produce many progeny. What he has produced has been of excellent quality and type. 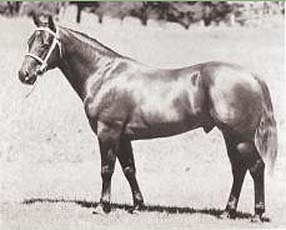 Chaparral�s best known offspring is HILLBRO ARAMAC (pictured below). 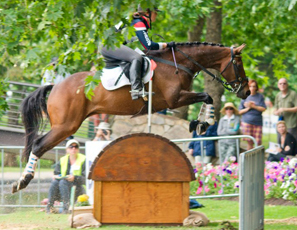 He is a Two Star (Intermediate) level eventer, having completed Adelaide Three Day event and other 3DEs on several occasions. 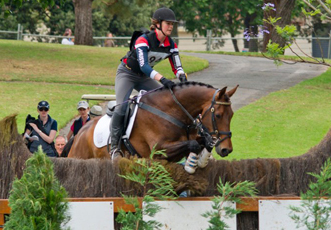 He has been frequently admired as the kind, talented little horse with a big heart, taking his Junior rider from Pony Club grades to top level competition. 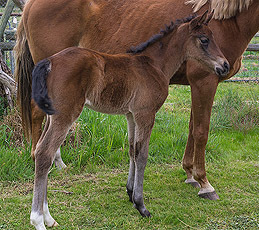 Full sisters to Aramac include Hillbro Second Addition and Hillbro Matisse, both ASH show winners and well performed under saddle with Crystal Vanstone of Memphis Park stud. Another full sister has been used on Clyde Station in QLD by older gentleman Jack Sim, who runs cattle. 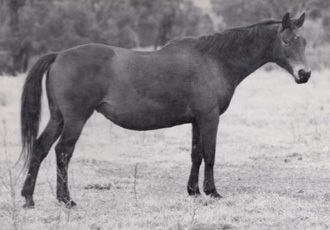 Jack states that she is the best mare he has ever owned and has since purchased a further 2 full sisters, such was his high regard for the quality and temperament of this bloodline. 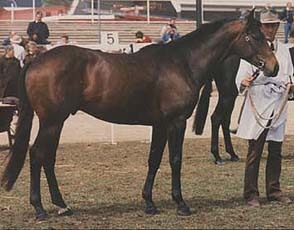 Chaparral has also been bred over Welsh mares, to produce excellent harness and riding ponies and Galloways. 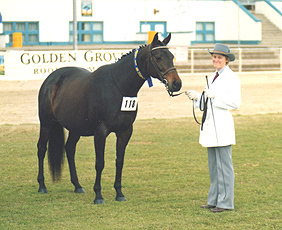 Not all his progeny have been registered with the Australian Stock Horse Society, but the owners of his progeny report reliable riding horses, with a number being successful in the show ring. 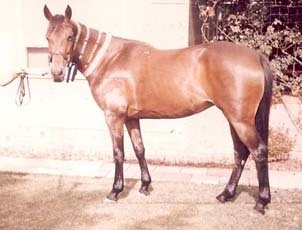 One gelding from a TB mare, bred by Memphis Park stud, was sold to SA Police for use as a patrol horse. 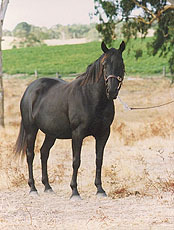 Chaparral�s sire FINTONA ARTIST � HSH is the sire of numerous polo & polocrosse ponies, show horses, campdrafters and genuine allrounders. 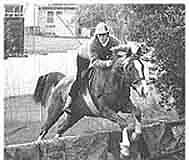 He stood at Chalani in his early years, before being trained and competed by well known horse trainer Colin Byron. 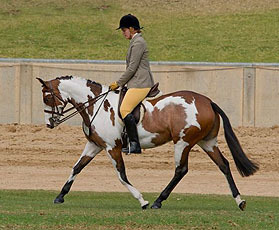 Artist was successful in led, ridden and working show classes as well as campdraft events and was a very light mouthed and soft horse to ride. 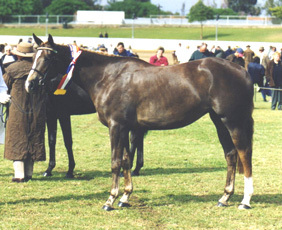 Fintona Artist and Chalani Sheoak, sire and dam of Chaparral. 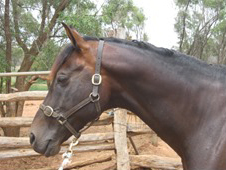 Chaparral�s dam CHALANI SHEOAK is a very quiet, bold and easy natured mare, who was simply born like that. 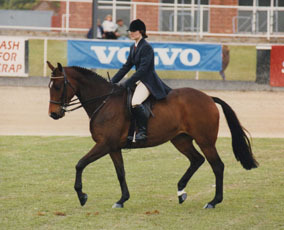 She was a winner in Futurity and Maturity events, very bold eventing in the cross country phase, never refusing, used for Pony Club, Riding Club sporting and hack classes, rider classes and was an attractive open hack. 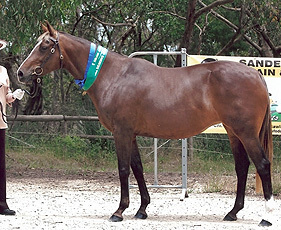 She is the dam of versatile show winners, Futurity winners and progeny with reliable kind temperaments. She is still being used for the occasional 'pony' ride for learner and novice riders. 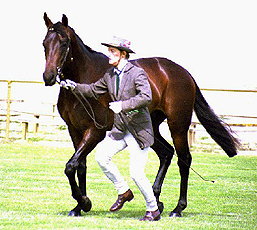 Sheoak�s dam is Chalani Aspen (by Rannock), who was an A grade polo pony & hunting mount, being bold and tough to ride and a very good doer. 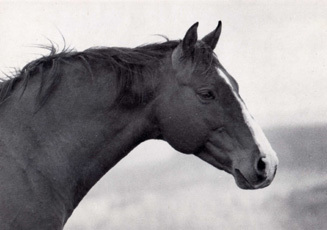 Aspen is of course from one of Chalani�s foundation mares, Chalani Cat Ballou. 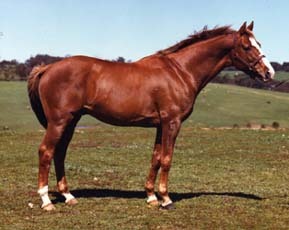 Sheoak is by Chalani Pacesetter, a sire of top level endurance horses, including Quilty winner China Doll. 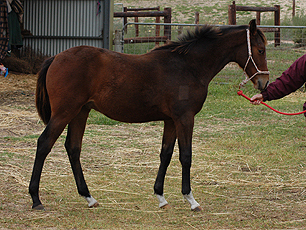 Pacesetter�s dam is Chalani Skelter (by Rannock), who is in turn out of Chalani�s other foundation mare Paradis. The cross of these two lines has been highly successful. 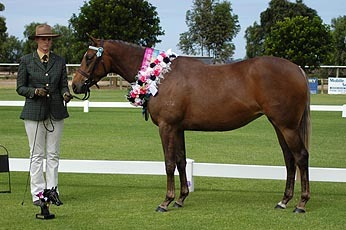 A stallion of modern quality, with the confidence of sound old bloodlines. 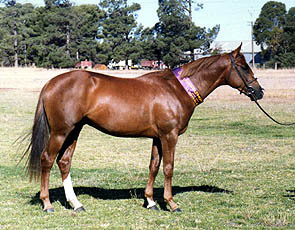 Chaparral is the ideal horse to produce good looking, quiet individuals with the ability to try their hoof at any discipline. 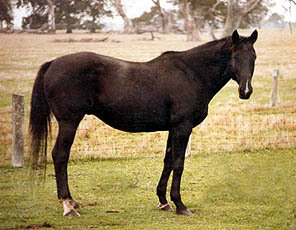 Chaparral is likely homozygous for black (EE - meaning no chestnut offspring), as he has not produced any chestnut foals (he is not however colour tested to be certain).